This is my favorite! May be hard to mail but if you send a package you can always insert the card inside the gift! 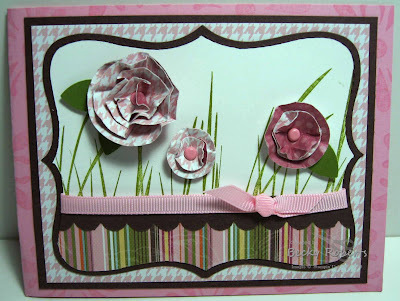 There are a group of us that take each other out to lunch so one of these cards willl be perfect to give to the Birthday Girl .. a card and flowers in one! Don't you think these works of art are worth a few cents more postage? I do!